2012 was a great year for Nvidia’s Kepler architecture and we’ll see second-generation Kepler cards in 2013. though specifics are unknown. Nvidia, not surprisingly, isn’t talking. We do know one thing: The GTX 680 is not the full-powered implementation of Kepler technology, as it features a graphics chip dubbed CR104, which in Nvidia-speak means something akin to ‘midrange part.” If you recall, the GTX 560 Fermi board from 2011 featured a chip named GF1O4, and it wasn’t until the GTX 580 was released that we saw a GF11O chip. So when the GTX 680 launched this year with 6K104, we naturally had to ask. “Where’s the GK110?” Nvidia answered that question when it pulled the wraps off its Kepler GK11O chip in May at the CPU Technology conference, revealing a massive CPU that has almost double everything compared to the GK1O4 chip found in the GTX 680. Designed for the Tesla K20 that will be used in the world of CPU computing, GK11O boasts twice as many transistors as the GTX 680, sporting 7.1 billion compared to the GK1O4’s 3.5 billion; it also has 2.880 CUDA cores within 15 SMX units compared to the GTX 68OEs 1,536 CUDA cores in eight SMX units. Its six memory controllers give it a 384-bit memory bus compared to the GK1O4’s 256-bit interface. To be clear: The next-gen GTX 780 will not feature a full-strength GK11O it would be totally uncharacteristic of Nvidia to double performance in the next generation, particularly when the competition doesn’t warrant it but there’s Lots of headroom there to offer healthy gains in performance, nonetheless. 2012 was a great year for Nvidia’s Kepler architecture and we’ll see second-generation Kepler cards in 2013. 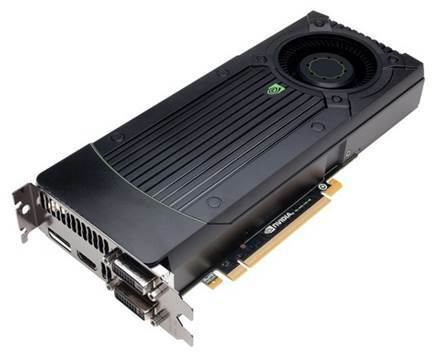 With the GTX 680 already holding the title as fastest single-CPU card for gaming right now, it’s possible Nvidia wilt hold off on over-clocking any of its 6-series cards and just move onto its second-generation 7-series Kepler boards. It’s an approach similar to Intel’s tick-tock strategy release new architecture, then refine it for the second generation. If you were waiting for all-new hardware from Nvidia in 2013, don’t hold your breath. The current plans are to run with Kepler for 2013 until Nvidia’s next-generation 2Onm hardware, dubbed Maxwell, appears in 2014. The current plans are to run with Kepler for 2013 until Nvidia’s next-generation 2Onm hardware, dubbed Maxwell, appears in 2014. 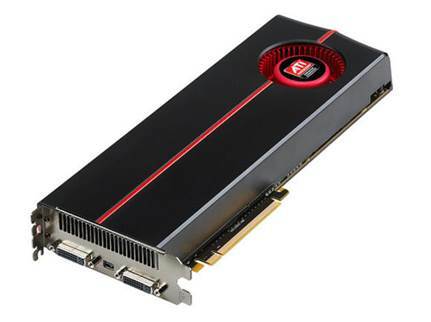 Card Next that was first used in the Radeon HO 7970. Even more interesting is the rumored HD 8870, which will offer HO 7970 levels of performance at a significantly Lower TOP of just 160W (TOP of the HO 7970 is 250W1. When we spoke to the company about its plans, all it would say was that it thinks power-per-watt is an increasingly important feature, that it Loves dual-GPU designs, and that in the near future, we might see a CPU being used for motion-tracking duties similar to those found on the Xbox Kinect and Wii consoles. Bad News, desktop-SSO jockeys: In 2013. our 2.5-inch SSDs wilt remain largely unchanged, and most of the innovation wilt unfortunately take place in the portable mSATA format because OEMs need a way to stuff SSDs into Ultrabooks. 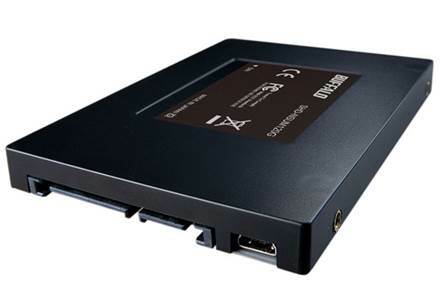 In case you missed the memo, with the Launch of Windows 8, Ultrabooks and tablets are all the rage these days, but mSATA has too many restrictions so it’s getting tossed in favor of a new standard for next-generation drives cleverly named NGFFI which stands for Next Generation Form Factor. This new design and interface will allow manufacturers to create tiny SSDs in a variety of sizes and capacities instead of being forced to use the current one-size-fits-all design of mSATA. This new design and interface will allow manufacturers to create tiny SSDs in a variety of sizes and capacities instead of being forced to use the current one-size-fits-all design of mSATA. On the desktop, we already have drives saturating the SATA 6Gb/s bus and plans are afoot to rectify this with a new standard that combines the bandwidth of PCI Express with the ubiquity of SATA, named you guessed it SATA Express. The new bus will accommodate SATA 6Gb/s devices and PCIe drives at the same time, which is unlike the transition we experienced from parallel ATA to SATA, where we saw two independent connectors on a motherboard and drive simultaneously. The rapid performance increase of SSDs over the past years has rendered the SATA interface insufficient. Mechanical hard drives are just fine with SATA, but the pace of SSD development is moving too fast for SATA to keep up, so it has to go. Out of the gate, SATA Express will use two PCIe 2.0 lanes, allowing up to 1Gb/s transfer speeds. As more lanes are added to the bus, we’ll eventually see bandwidth increasing all the way up to 16Gb/s. Sadly, we don’t anticipate this transition to happen quickly, as we’ve been hearing about SATA Express for more than a year now and we’ve yet to see so much as a picture of a working prototype. Our best guess is that we’ll see it emerge in 2014, with 2013 being a year where manufacturers begin to highlight features other than speed in the current technology, since most of the drives will be able to saturate the bus at 600MB/s. Features such as power consumption, reliability, and encryption will be the talking points until the arrival of SATA Express, when manufacturers will then go back to touting sequential read speeds and max IOPS. The rapid performance increase of SSDs over the past years has rendered the SATA interface insufficient. Where rotating drives are concerned, I’ll be all quiet on the Western front for the most part. Nobody is talking about where these drives are headed, and nobody really seems to care, as we’re not interested in their performance as much as their capacities now that we have SSO boot drives. And since there are only two hard drive manufacturers now WD and Seagate there’s not much competition between them from a consumer’s point of view. From our perspective, hard drive coverage will be rare, but you’ll see us review 5TB drives when they appear sometime next year.